Dinosaurs are back and roaming the earth in the 32" long Roboraptor. 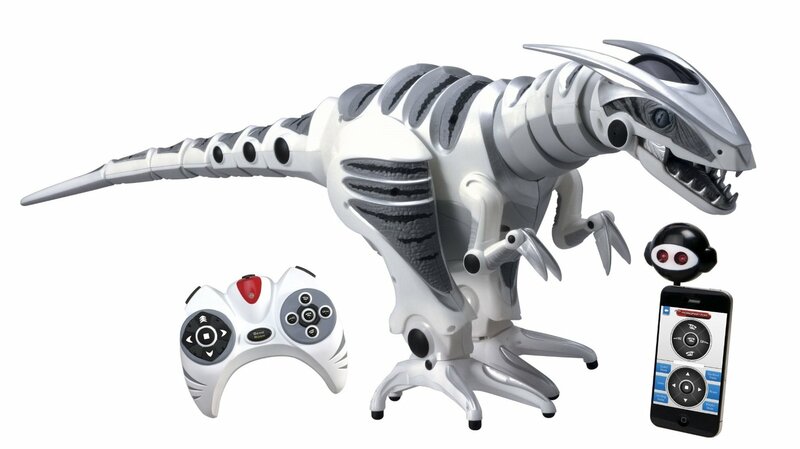 With its advanced artificial intelligence personality, realistic biomorphic motions, direct control and autonomous (free-roam) modes, the Age of Dinosaurs has truly returned. Use the included IR Dongle to control Raptor X with your iOS or Android device. A Great 'Interactive' Toy - Not For Couch Potatoes. If you like interactive toys and are willing to spend a little time figuring out all its different modes.